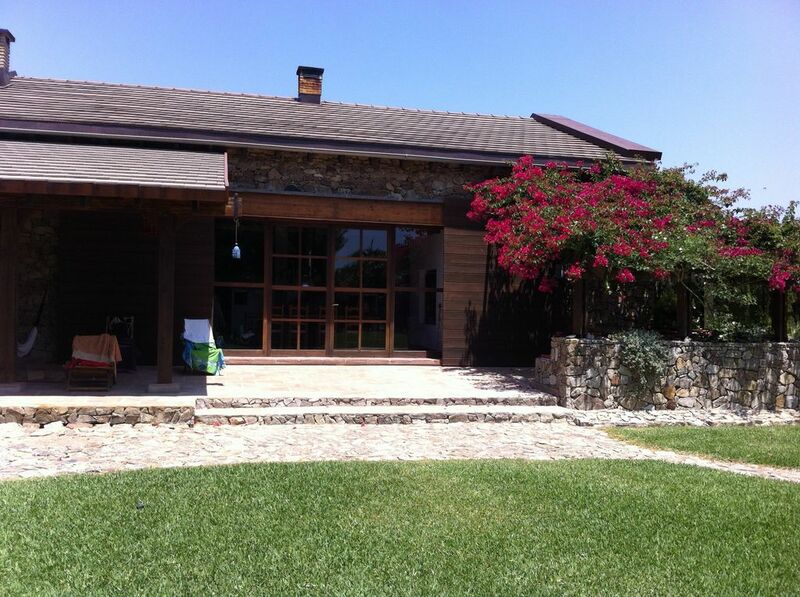 Beautiful stone house in El Palmar, Cadiz, 500 meters from the beach, plot of 1500 m and house built 220m. It has 3 bedrooms and two bathrooms on the ground floor, large living room equipped with TV and a large attic where 4 people can sleep, it is ideal for children. Perfect to have a good time and unplug in your hammocks. SPECIAL PRICES FOR LONG STAYS OUT OF SEASON. La casa estuvo genial, totalmente equipada y muy cómoda para hacer barbacoa, descansar en el jardín o sentarte delante de la chimenea. Totalmente recomendable. Luís Miguel nos facilitó en todo momento las cosas que necesitábamos y fue muy agradable.